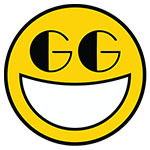 Another full-fledged installment in the popular series of third-person perspective action games with tactical features. The series is developed by the Japanese studio Omega Force. 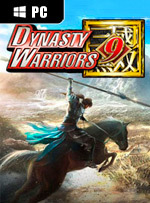 The story of Dynasty Warriors 9 is loosely based on the novel Romance of the Three Kingdoms that describes the Chinese civil war that occurred during the 2nd and 3rd century. The player can choose from a few dozen of varied characters, some of which are well known from the previous entries in the series. The rest are completely new characters or ones from other games from this developer. The gameplay focuses on real-time battles with hundreds of participants. The title was released as part of the 15th anniversary of the series and it introduces some important novelties to the saga, including a modified combat system and a large open world that contains the entirety of China. The key to victory lies in proper usage of available weapons and special abilities of various characters and in taking advantage of the topography of the battlefields. ou can never go wrong with Samurai Warriors 4. Hyrule Warriors is so good, it is coming up on its third port! 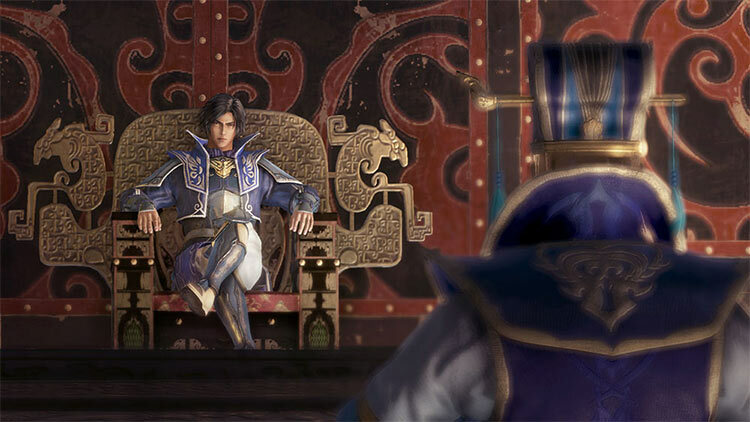 And there are times when I still swear Dynasty Warriors 4 is the best entry in this series. Dynasty Warriors 9 is not a good Warriors. It is not a good open world game. It is a broken, tedious mess. Fortunately, fans of the genre have plenty of older entries to enjoy. Maybe in a year or two, after Omega Force has more experience with open world installments, we will see the Warriors formula work with this genre. 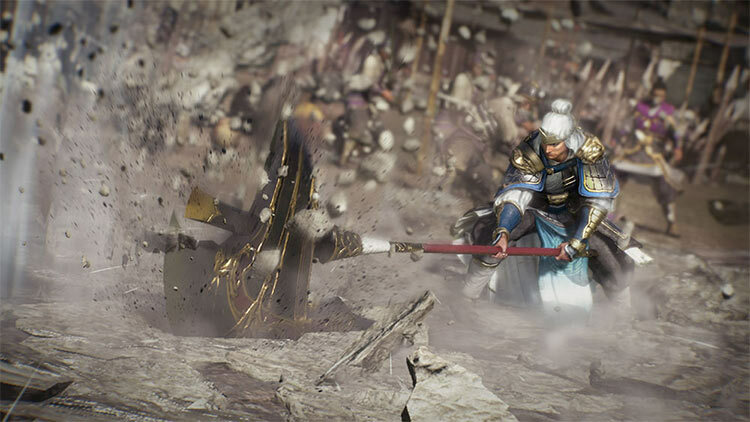 Unfortunately, the changes in Dynasty Warriors 9 are a bit too superficial and kept too much of what made the series suffer in previous titles. The controls and animations need tightening, and the storytelling needs to evolve to a point where it's more coherent. If you're a fan of the Musou franchise, there's a lot of new stuff to experience and enjoy here. 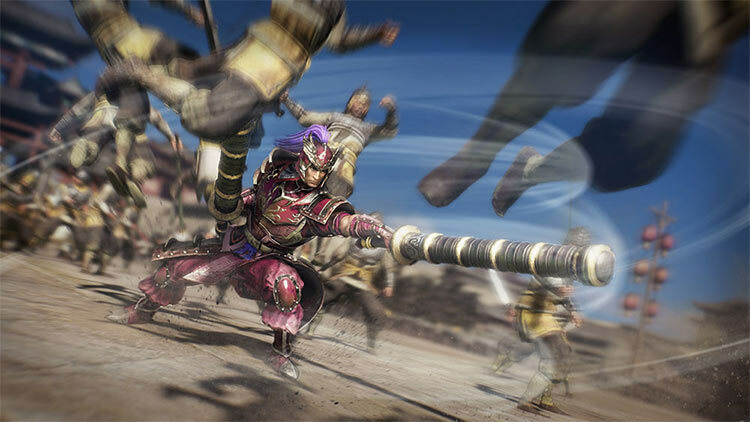 Dynasty Warriors 9 isn't likely to attract a ton of new fans, but it sets the groundwork for the future of the series, and we'll likely see the real fruits of this new direction in the next few entries in the franchise. Everything about this game seems completely rushed. To jump onto the open world bandwagon three or four years too late and still deliver such a pile of garbage isn’t just embarrassing, it’s insulting. There's bad voice acting, which is pretty much a staple for the series; intense and explosive action; a varied and diverse cast of characters; and a story with a ton of different perspectives. Sure, the shift to open world wasn't really necessary and doesn't really bring any huge advantages with it, but it's a very fun game nonetheless. We just hope that it can get that bit of polish post-launch, because that's one of the biggest drawbacks of an otherwise enjoyable experience. 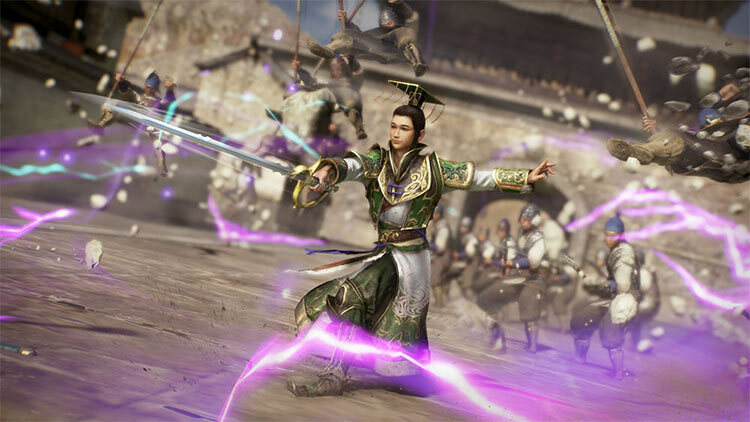 The PC version of Dynasty Warriors 9 is frustrating, more for its wasted potential than anything else. The game is difficult to control on PC, and that significantly hinders a lot of the fun, fast-paced combat, which is all-too scarce at times. Additionally, while the open-world approach is a great direction for the series, it doesn't capture the epic battles that the series is known for in the same way. Dynasty Warriors 9 suffers from a lot of issues, most stemming from the terribly implemented open-world. 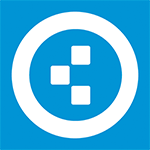 Assets are reused, it’s buggy, repetitive, bloated, empty and bland. These shortcomings are made all the more painful by the obvious potential this game had, and how fun the base combat can be once players waded through all the other nonsense. Dynasty Warriors 9 is a significant departure from past titles, but a poorly implemented open world leaves much to be desired. Un Dynasty Warriors que rompe moldes y que no dejará indiferentes a los fans, ni en lo bueno ni en lo malo. A veces la ambición juega en su contra. Hay gente para todo, que dice mi abuela, como queriéndose despojar de las preocupaciones; como ese «Dios proveerá» tan resignado y a la vez tan liberador que suele usar la gente mayor, y que en este caso parece el principal argumento de los responsables de Dynasty Warriors 9. Una mezcla impía y arbitraria a la que además le falta el único componente que podría haberla salvado: el respeto hacia las virtudes propias. Wenigstens ist die Musik über jeden Zweifel erhaben. In Kämpfen schrammelt der Rock fett aus den Boxen, während beim Ritt durch die Lande immerhin auf ein gewisses Reisegefühl eingestimmt wird. Plopp! Oh, das kann selbst der Soundtrack nicht übertönen: Das Geräusch des zerplatzenden Traums einer epischen Interpretation der Geschichte der drei chinesischen Reiche. 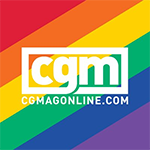 Il gioco mette sul piatto una lunga campagna con tante missioni e personaggi sbloccabili, ma soffre degli stessi difetti di sempre e anzi in alcuni casi li enfatizza proprio per via del nuovo approccio. A queste perplessità si aggiunge una realizzazione tecnica che evidentemente non regge il peso del mondo aperto, con frame rate problematici, il ritorno del famigerato pop-up ed evidentissimi problemi di streaming degli asset. In definitiva, i fan della serie potrebbero trovare comunque interessante il nuovo approccio, ma tutti gli altri farebbero bene a tenersi a distanza. 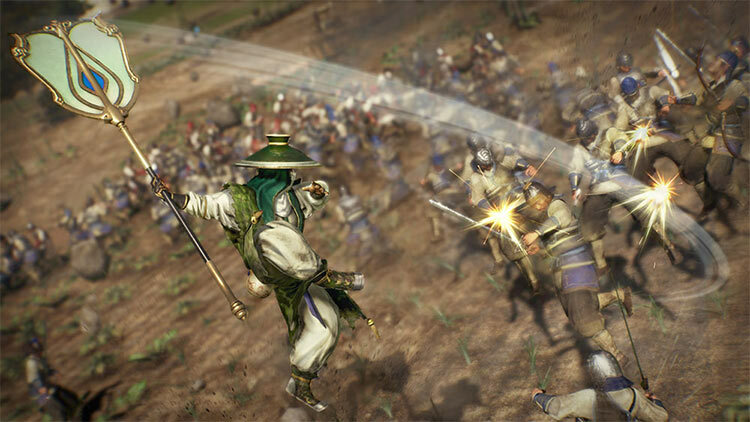 Dynasty Warriors 9 è lontano dalla perfezione. È poco raffinato tecnicamente, il gameplay ha bisogno di tempo per ingranare e ostenta ingenuità (se non pigrizia) quando deve fare cose differenti dall’action. Eppure è un videogioco esaltante, vasto e pieno di cose da fare. Che per quanto meno dettagliato e denso di altri, è schietto e appassionato.